← Clarbojahn Presents! Author Sharon Solomon! Part two. I must say! I’m bleary eyed and tired after a wonderful week with my sister from Texas. Yes, the kindergarten teacher sister I talked about when writing “Annie’s Special Day”, and the sister who I’ve dedicated the book to. She’s very special, 🙂 and we talked nonstop. If you have followed me you will know how busy I’ve been this week. I haven’t even gone online to connect or do a workshop with www.themuseonlinewritersconference.com. My life is in complete chaos. But I’m restoring some order come today. I’m making a priority list and sticking to it. A couple of weeks ago I put up a new page next to my *about* up top of my user bar called *About “Annie’s Special Day*. 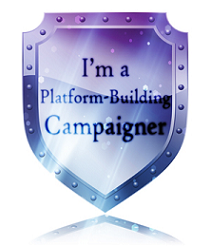 On it is my new web page. http://www.clarbojahn.com/ *Yay! * If you get confused because I said my book is out on Amazon, I’ll understand. I thought it would be by now, too. Some places in the internet say it’s out in all the venues and some say soon. I know it’s confusing. And I don’t really feel like I’m a published author because my book can’t be found in the biggest store. So yes, I’m disappointed. But soon. https://clarbojahn.wordpress.com/ for my blog. Thanks for reading! http://www.goodreads.com/author/show/5895641.Clara_Bowman_Jahn add my book to your to-reads. Now for the featured reading PPBF! What we’ve all been waiting for. Yes, go get a refill. 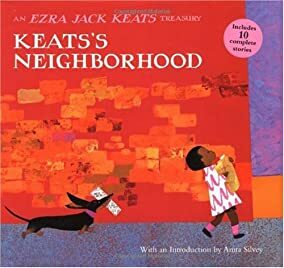 What the Jacket says: Ezra Jack Keats forever changed the landscape of children’s literature when he chose an African-American boy as the hero of The Snowy Day in 1962. Today, he is widely acknowledged as one of the first picture-book creators to feature realistic, friendly, multi-ethnic urban settings in his books. Now this beautiful collection brings together ten of his best-loved stories, including the 1963 Caldecott Medal winning book The Snowy Day and the Caldecott Honor book Goggles!, plus Whistle for Willie, Peter’s Chair, Apt.3, Jennie’s Hat, and others. Also included is artwork from an unfinished picture book, The Giant Turnip, published here for the very first time. An introduction by celebrated critic of children’s literature Anita Silvey outlines Keats’s career and inimitable contributions. In addition, four of the most important writers and illustrators working in the field today—Jerry Pinkey, Simms Taback, Reynold Ruffins, and Eric Carle—share their thoughts on Keats and the legacy he left behind. An afterword describes his incredible life, from his impoverished childhood in Brooklyn to t he books that would earn him international acclaim and devotion of generations of readers. Resources: http://www.us.penguingroup.com/static/pages/youngreaders/minisites/snowy_day/images/tl-guide-world-era-jack-keats.pdf For a whole booklet with teaching activities and discussion suggestions. school, community and neighborhood. A booklet on social skills and awareness. http://www.scholastic.com/teachers/collection/ezra-jack-keats-author-study for one more teacher’s guide by scholastic. Why I love it: As the jacket says this book is for every one of all ages. Just as I think a young child won’t set still for the introduction and commentary about this brilliant author/illustrator, I also think the 10 most famous books of Keats’s featured here will be treasured. I loved leafing through the pages, pouring over his art and photographs. There is one photo of him at the beginning that is of a smiling aging Keats whose face is warm, friendly and filled with smile lines and you can readily see that children mattered to him. I was surprised to find that he had illustrated twenty-five books for other writers before illustrating and writing his own, twenty-two in all. This book is aptly called a treasury with ten of Keats’s best books wrapped up in its pages. Apt. 3; Louie’s Search and Pet Show! were the last books in what was truly a treasury. This entry was posted in Clara Bowman-Jahn, Clarike Bowman-Jahn, Course or Book Review, Perfect Picture Book Friday, social networking and tagged author/illustrator, Caldecott Medal, Ezra Jack Keats, Perfect Picture Book Friday, Picture book, Susanna Leonard Hill. Bookmark the permalink. How fun, Clar! I’m looking forward to exploring all your author’s links. And I remember sharing many of Keat’s books with my students when I was a school librarian. Good choice! 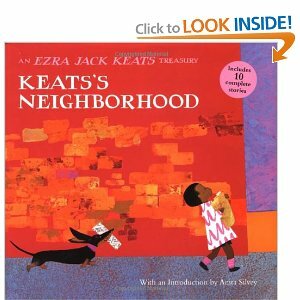 I love Ezra Jack Keats books — and to find them all in one treasury is wonderful. My favorites are Whistle for Willie and Snowy Day. Such a master of simplicity. Interesting that they included a book he never published. That’s worth reading the book. Great choice. Wow, indeed! I had read Whistle for Willie but not the others…. will have to check them out in my library. Thanks Clar! Great pick Clar – Keats is one of my heroes! He’s one of mine, too. Thanks for introducing me to this treasury. Keats is a children’s lit icon! I can’t remember ever reading a Keats book I didn’t find absolutely charming. This is great. Thanks for letting me know about it.